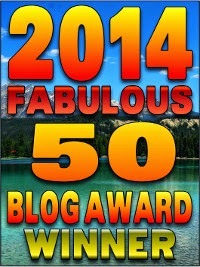 "The Lid": Israel Independence Day: Would Obama Have Recognized New Jewish State Like Truman Did? 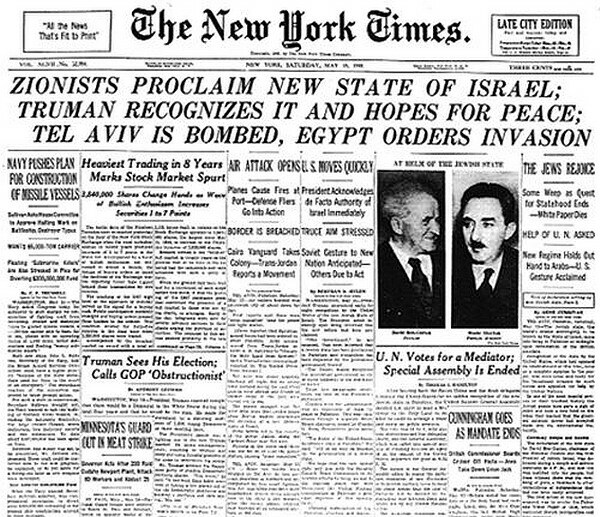 Israel Independence Day: Would Obama Have Recognized New Jewish State Like Truman Did? If Barack Obama was president 67 years ago, Israel may very well have been cast aside in deference to the King of Saudi Arabia and the Arab League. He most probably would have tried to negate the UN Partition Plan, as most in the State Department recommended in 1948, because President Obama believes the United States should lead from behind. That wasn’t Harry Truman’s style. “What I am trying to do is make the whole world safe for Jews,” Harry Truman wrote as he agonized over his decision to recognize a Jewish state in Palestine. Secretary of State George Marshall (Time’s 1947 Man of the Year) an international hero was just as opposed to the creation of Israel as Truman was for it. 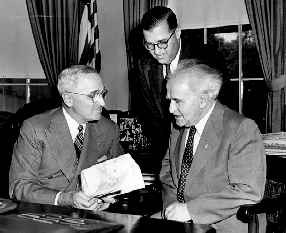 Clark M. Clifford, Special Counsel to President Truman at the time, remembered the internal US fight regarding the recognition of the Jewish State — the final discussion in the Oval Office. The meeting turned out to be an angry battle with Clifford and the President on one side, Marshall and Undersecretary of State Robert Lovett on the other. When Lovett was done speaking it was the “hero” Marshall’s turn. As Clifford described the remarks:"
With barely contained rage and more than a hint of self-righteousness, he made the most remarkable threat I ever heard anyone make directly to a President: “If you follow Clifford’s advice and if I were to vote in the election, I would vote against you. Everyone in the room was stunned. Here was the indispensable symbol of continuity [from FDR] whom President Truman revered and needed, making athreat that, if it became public, could virtually seal the dissolution of the Truman Administration and send the Western Alliance, then in the process of creation, into disarray before it had been fully structured. Marshall’s statement fell short of an explicit threat to resign, but it came very close.” General Marshall’s position was grossly unfair. Just as Congressional Democrats claimed earlier this year, opponents of the Jewish State believed the sole reason for the President Truman's support was politics. But Truman’s mind was made up– he was going to do the right thing. 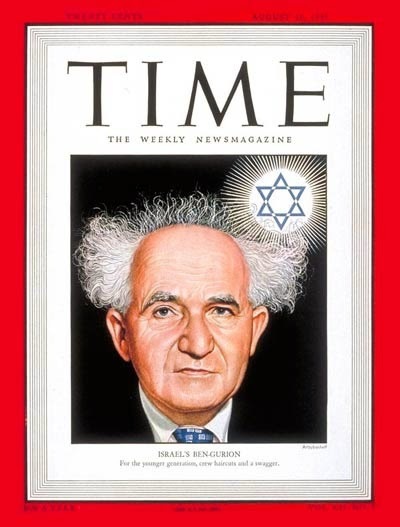 At 4 p.m. Friday May 14, 1948 just before the start of the Jewish Sabbath, David Ben Gurion read a 979-word declaration of independence in front of a small audience at the Tel Aviv Art Museum . He finished in his usual terse manner. 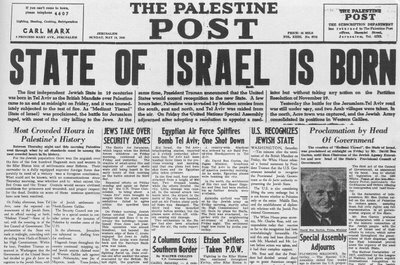 “The state of Israel is established! 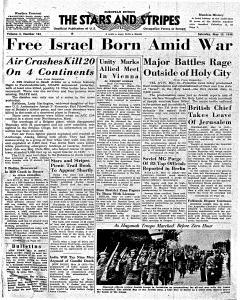 The meeting is ended.” At midnight, British rule over Palestine lapsed; 11 minutes later White House spokesman Charlie Ross announced U.S. recognition. At our last meeting, after a very interesting talk, just before [the President] left me – it was in a New York hotel suite – I told him that as a foreigner I could not judge what would be his place in American history; but his helpfulness to us, his constant sympathy with our aims in Israel, his courageous decision to recognize our new state so quickly and his steadfast support since then had given him an immortal place in Jewish history. As I said that, tears suddenly sprang to his eyes. And his eyes were still wet when he bade me goodbye. I had rarely seen anyone so moved. I tried to hold him for a few minutes until he had become more composed, for I recalled that the hotel corridors were full of waiting journalists and photographers. He left. How times have changed. In 1948 our president used a moral compass to decide foreign policy. Truman was a president who judged not whether things would make America popular in the Arab world, but whether it was the right thing for the US. The man from Independence, Mo. knew the best thing for America’s future was for to grab the moral leadership position of the entire world. Today our president today sees the US not as the leader, but one of many countries on the planet. He rejects America's moral leadership, but sees us as a flawed people. Just look at the tepid fight against ISIS, how he has abandoned Ukraine, ignoring the red line he set in Syria. Like most of his agenda, Obama’s “lead from behind strategy” is serving to drive this country towards mediocrity and put our children and grandchildren in danger. Evil regimes no longer fear America as they see this President "negotiate' with Iran by giving the terrorist supporting nation everything it wants. He criticized Hamas for using its civilians as human shields but blamed Israel for civilian casualties. It make one wonder, Would Barack Obama have had the moral courage to recognize the new Jewish State the way that Harry Truman did 67 years ago or would he have led from behind? Sadly the most probable answer is NO.